Our sons were raised with music, violin lessons at age 5 for one and piano lessons at age 6.5 for the other. This topic occupies a Chapter in my book. Music is lyrical, mathematical, calming, mind elevating, and essential to human life. Look around you at the ones who have no music in their lives and then read this Wall Street Journal article, which proves my theory of preschool brain development that I championed so long ago in the lives of our sons. “American education is in perpetual crisis. Our students are falling ever farther behind their peers in the rest of the world. Learning disabilities have reached epidemic proportions, affecting as many as one in five of our children. Illiteracy costs American businesses $80 billion a year. Many solutions have been tried, but few have succeeded. So I propose a different approach: music training. A growing body of evidence suggests that music could trump many of the much more expensive “fixes” that we have thrown at the education system. Until recently, though, it has been a chicken-and-egg question: Are smart, ambitious people naturally attracted to music? Or does music make them smart and ambitious? And do musically trained students fare better academically because they tend to come from more affluent, better educated families? New research provides some intriguing answers. Music is no cure-all, nor is it likely to turn your child into a Nobel Prize winner. But there is compelling evidence that it can boost children’s academic performance and help fix some of our schools’ most intractable problems. E. Glenn Schellenberg, a University of Toronto psychology professor, was skeptical about claims that music makes you smarter when he devised a 2004 study to assess its impact on IQ scores. He randomly assigned 132 first-graders to keyboard, singing or drama lessons, or no lessons at all. He figured that at the end of the school year, both music and drama students would show bumps in IQ scores, just because of “that experience of getting them out of the house.” But something unexpected happened. The IQ scores of the music students increased more than those of the other groups. Another Canadian study, this one of 48 preschoolers and published in 2011, found that verbal IQ increased after only 20 days of music training. In fact, the increase was five times that of a control group of preschoolers, who were given visual art lessons, says lead researcher Sylvain Moreno, an assistant professor of psychology at the University of Toronto. He found that music training enhanced the children’s “executive function”—that is, their brains’ ability to plan, organize, strategize and solve problems. And he found the effect in 90% of the children, an unusually high rate. Music training can reduce the academic gap between rich and poor districts. 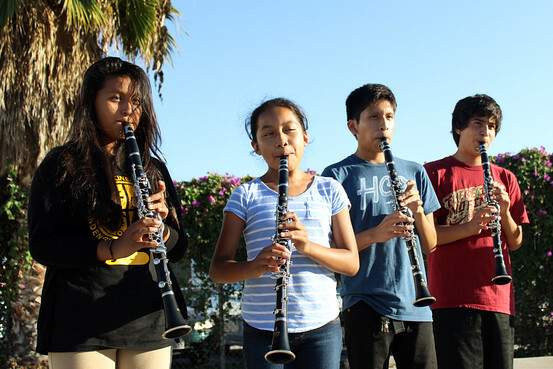 The Harmony Project in Los Angeles gives free instrument lessons to children in impoverished neighborhoods. Margaret Martin, who founded the program in 2001, noticed that the program’s students not only did better in school but also were more likely to graduate and to attend college. To understand why, Northwestern University neurobiologist Nina Kraus spent two years tracking 44 6-to-9-year-olds in the program and then measured their brain activity. She found a significant increase in the music students’ ability to process sounds, which is key to language, reading and focus in the classroom. Academic results bore that out: While the music students’ reading scores held steady, scores for a control group that didn’t receive lessons declined. Prof. Kraus found similar results in a 2013 study published in Frontiers in Educational Psychology of 43 high-school students from impoverished neighborhoods in Chicago. Students randomly assigned to band or choir lessons showed significant increases in their ability to process sounds, while those in a control group, who were enrolled in a junior ROTC program, didn’t. “A musician has to make sense of a complicated soundscape,” Prof. Kraus says, which translates into an ability to understand language and to focus, for example, on what a teacher is saying in a noisy classroom. 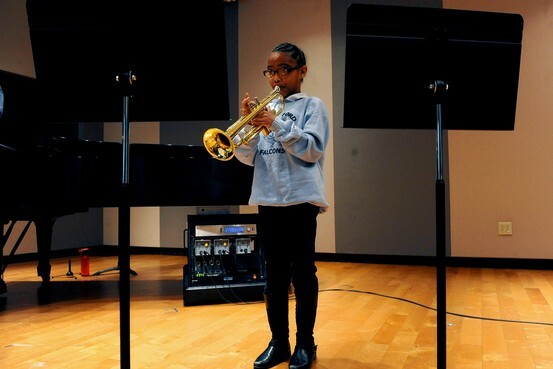 Music training does more than sports, theater or dance to improve key academic skills. Last year, the German Institute for Economic Research compared music training with sports, theater and dance in a study of 17-year-olds. The research, based on a survey of more than 3,000 teens, found that those who had taken music lessons outside school scored significantly higher in terms of cognitive skills, had better grades and were more conscientious and ambitious than their peers. The impact of music was more than twice that of the other activities—and held true regardless of the students’ socioeconomic background. To be sure, the other activities also had benefits. Kids in sports also showed increased ambition, while those in theater and dance expressed more optimism. But when it came to core academic skills, the study’s authors found, the impact of music training was much stronger. Music can be an inexpensive early screening tool for reading disabilities. Brazilian music teacher Paulo Estevao Andrade noticed that his second-grade students who struggled with rhythm and pitch often went on to have reading problems. So he invented a “game” in which he played a series of chords on a guitar and asked his students to write symbols representing high and low notes. Those who performed poorly on the exercise, he found, typically developed severe reading problems down the line. Intrigued, he joined with Nadine Gaab, an assistant professor at Harvard Medical School, to follow 43 students over three years, and they found that the test predicted general learning disabilities as well. Why? Mr. Andrade notes that the brain processes used in the music test—such as auditory sequencing abilities, necessary to hear syllables, words and sentences in order—are the same as those needed to learn to read. Prof. Gaab says the test, which is simple and inexpensive to administer, has great potential as a tool for early intervention. Music literally expands your brain. In a 2009 study in the Journal of Neuroscience, researchers used an MRI to study the brains of 31 6-year-old children, before and after they took lessons on musical instrument for 15 months. They found that the music students’ brains grew larger in the areas that control fine motor skills and hearing—and that students’ abilities in both those areas also improved. The corpus callosum, which connects the left and right sides of the brain, grew as well. Ellen Winner, a Boston College psychology professor and co-author of the study, notes that the study doesn’t show a rise in cognitive abilities. But she argues that music shouldn’t have to justify itself as an academic booster. “If we are going to look for effects outside of music, I would look at things like persistence and discipline, because this is what’s required to play an instrument,” she says. Yet music programs continue to be viewed as expendable. A 2011 analysis in the Journal of Economic Finance calculated that a K-12 school music program in a large suburban district cost $187 per student a year, or just 1.6% of the total education budget. That seems a reasonable price to pay for fixing some of the thorniest and most expensive problems facing American education. Music programs shouldn’t have to sing for their supper. — Ms. Lipman is co-author, with Melanie Kupchynsky, of “Strings Attached,” published last month in paperback by Hachette Books. She is a former deputy managing editor of The Wall Street Journal and former editor in chief of Condé Nast Portfolio. I was preparing to write a post on Classical Education when I went back and looked at “The Well Trained Mind”, published first edition in 1999. I then went to the Word Press blog called “The Well Trained Mind“, and read a piece by Susan Wise Bauer. I have copied it in its entirety for my readers as it is the most thought provoking discussion available on the subject of What is Classical Education? This will alter the way you perceive education in our American public school systems. It will stop you in your tracks, make you turn and reflect upon your education and that of your children. It will bring an understanding of where we went wrong and why American schools are failing to produce literate, articulate, creative, lateral thinkers in this highly competitive global economy. Classical education depends on a three-part process of training the mind. The early years of school are spent in absorbing facts, systematically laying the foundations for advanced study. In the middle grades, students learn to think through arguments. In the high school years, they learn to express themselves. This classical pattern is called the trivium. The first years of schooling are called the “grammar stage” — not because you spend four years doing English, but because these are the years in which the building blocks for all other learning are laid, just as grammar is the foundation for language. In the elementary school years — what we commonly think of as grades one through four — the mind is ready to absorb information. Children at this age actually find memorization fun. So during this period, education involves not self-expression and self-discovery, but rather the learning of facts. Rules of phonics and spelling, rules of grammar, poems, the vocabulary of foreign languages, the stories of history and literature, descriptions of plants and animals and the human body, the facts of mathematics — the list goes on. This information makes up the “grammar,” or the basic building blocks, for the second stage of education. By fifth grade, a child’s mind begins to think more analytically. Middle-school students are less interested in finding out facts than in asking “Why?” The second phase of the classical education, the “Logic Stage,” is a time when the child begins to pay attention to cause and effect, to the relationships between different fields of knowledge relate, to the way facts fit together into a logical framework. A student is ready for the Logic Stage when the capacity for abstract thought begins to mature. During these years, the student begins algebra and the study of logic, and begins to apply logic to all academic subjects. The logic of writing, for example, includes paragraph construction and learning to support a thesis; the logic of reading involves the criticism and analysis of texts, not simple absorption of information; the logic of history demands that the student find out why the War of 1812 was fought, rather than simply reading its story; the logic of science requires that the child learn the scientific method. The final phase of a classical education, the “Rhetoric Stage,” builds on the first two. At this point, the high school student learns to write and speak with force and originality. The student of rhetoric applies the rules of logic learned in middle school to the foundational information learned in the early grades and expresses his conclusions in clear, forceful, elegant language. Students also begin to specialize in whatever branch of knowledge attracts them; these are the years for art camps, college courses, foreign travel, apprenticeships, and other forms of specialized training. A classical education is more than simply a pattern of learning, though. Classical education is language-focused; learning is accomplished through words, written and spoken, rather than through images (pictures, videos, and television). Why is this important? Language-learning and image-learning require very different habits of thought. Language requires the mind to work harder; in reading, the brain is forced to translate a symbol (words on the page) into a concept. Images, such as those on videos and television, allow the mind to be passive. In front of a video screen, the brain can “sit back” and relax; faced with the written page, the mind is required to roll its sleeves up and get back to work. A classical education, then, has two important aspects. It is language-focused. And it follows a specific three-part pattern: the mind must be first supplied with facts and images, then given the logical tools for organization of facts, and finally equipped to express conclusions. But that isn’t all. To the classical mind, all knowledge is interrelated. Astronomy (for example) isn’t studied in isolation; it’s learned along with the history of scientific discovery, which leads into the church’s relationship to science and from there to the intricacies of medieval church history. The reading of the Odyssey leads the student into the consideration of Greek history, the nature of heroism, the development of the epic, and man’s understanding of the divine. This is easier said than done. The world is full of knowledge, and finding the links between fields of study can be a mind-twisting task. A classical education meets this challenge by taking history as its organizing outline — beginning with the ancients and progressing forward to the moderns in history, science, literature, art and music. We suggest that the twelve years of education consist of three repetitions of the same four-year pattern: Ancients, Middle Ages, Renaissance and Reformation, and Modern Times. The child studies these four time periods at varying levels — simple for grades 1-4, more difficult in grades 5-8 (when the student begins to read original sources), and taking an even more complex approach in grades 9-12, when the student works through these time periods using original sources (from Homer to Hitler) and also has the opportunity to pursue a particular interest (music, dance, technology, medicine, biology, creative writing) in depth. The other subject areas of the curriculum are linked to history studies. The student who is working on ancient history will read Greek and Roman mythology, the tales of the Iliad and Odyssey, early medieval writings, Chinese and Japanese fairy tales, and (for the older student) the classical texts of Plato, Herodotus, Virgil, Aristotle. She’ll read Beowulf, Dante, Chaucer, Shakespeare the following year, when she’s studying medieval and early Renaissance history. When the eighteenth and nineteenth centuries are studied, she starts with Swift (Gulliver’s Travels) and ends with Dickens; finally, she reads modern literature as she is studying modern history. The sciences are studied in a four-year pattern that roughly corresponds to the periods of scientific discovery: biology, classification and the human body (subjects known to the ancients); earth science and basic astronomy (which flowered during the early Renaissance); chemistry (which came into its own during the early modern period); and then basic physics and computer science (very modern subjects). This pattern lends coherence to the study of history, science, and literature — subjects that are too often fragmented and confusing. The pattern widens and deepens as the student progresses in maturity and learning. For example, a first grader listens to you read the story of the Iliad from one of the picture book versions available at any public library. Four years later, the fifth grader reads one of the popular middle-grade adaptations — Olivia Coolidge’s The Trojan War, or Roger Lancelyn Greene’s Tales of Troy. Four more years go by, and the ninth grader — faced with the Iliad itself — plunges right in, undaunted. The classical education is, above all, systematic — in direct contrast to the scattered, unorganized nature of so much secondary education. This systematic, rigorous study has two purposes. Rigorous study develops virtue in the student. Aristotle defined virtue as the ability to act in accordance to what one knows to be right. The virtuous man (or woman) can force himself to do what he knows to be right, even when it runs against his inclinations. The classical education continually asks a student to work against his baser inclinations (laziness, or the desire to watch another half hour of TV) in order to reach a goal — mastery of a subject. Brilliant, thought provoking analysis! I could never had said it better! And, if you have not seen “Akeelah and the Bee” please rent it for its amazing discourse on the power of language, its origins, and structure. Great leaders from our past were men of unyielding convictions in their beliefs, values, and ideals. They fought a war and crafted the Declaration of Independence; they framed the Constitution and formed a nation. They were giants on the world’s stage whose intellect was highly developed and whose thoughts and spoken language reached an uncommon level of eloquence. What made them different? What grounded their thoughts and determination? With all the technological advances and easy access to the world’s knowledge, why are our leaders today, who are more “educated”, so obviously less literate and uncommonly inelegant than our Founding Fathers? Could it be that our Founding Fathers were the result of a Classical Education, something our leaders do not have today? Mike Myatt, managing director and chief strategy officer at N2growth, eloquently states, “Nations rise and fall with the quality of their leaders, and their leaders succeed and fail based upon who they are at their core – what they believe, how they think, and what they do. Nothing shapes a leader or a society like their education or lack thereof. Let me be clear: when I refer to an education, I’m not referencing earning a degree, I’m talking about developing a rich intellect – they are not always one in the same.” He asserts that we have lowered our standards and expect too little of our children. Go to the local Mall after school and see what the children of our nations parents are doing to increase their intellect and satiate their natural creative curiosity. How is it that the Colonists in the 1770’s, who had little formal education, had an expansive vocabulary, a wider range of literacy, and a mastery of many subjects than our students have today? How is it that the graduates of these one room school houses produced these intellectually literate men and women who became the bedrock entrepreneurs of our society? I am reminded of a film I saw that illustrates this point, TRUE GRIT with Jeff Bridges. I was stunned by the vocabulary of Matty Ross the 14 year old girl, played by Hailee Steinfeld. Her character is the product of a one room school house education. If you haven’t seen the film, rent it and listen to her dialogue. Point made! We spend more money and award more degrees to students who spend more time in school than ever before, most of whom are unable to read and comprehend the language of many of our historical documents or classic books. We are a one dimensional nation with a one dimensional educational system turning out test takers who are unable to have intellectually civil discourse. Should we return to the Classical studies? Could you pass this 1895 eighth grade exam administered to the the one room schoolhouse students in Kansas? Point Made! Studying grammar, memorizing multiplication tables and historical events and reading original sources is no longer politically correct. Instead our students read from abridged textbooks and write their thoughts in 140 characters or less. We are a nation who believes education should be “entertaining and fun”. It should not be hard work. We are less literate and less educated than our global competitors. To succeed we need to start again to develop our greatest national treasure, the intellect of our children, who are the future of our nation. 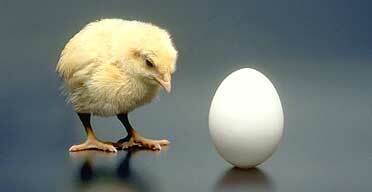 The Chicken or the Egg: Good Parenting or Good Teachers – What comes first? “For more than forty years I’ve taught literature, history, consciousness, and writing as a senior teacher and administrator in major American and Asian universities, and in progressive preschools and schools. In part because of the subjects I teach, in part because of the ways in which we work together, students of all ages often confide in me with uncommon intimacy and trust. I too taught school and had students confide in me with ‘uncommon intimacy and trust”. There was Gloria, whose mother was having an affair with a student who was 20 years younger than her mom. The student came to Gloria’s house one afternoon and shot and killed the mother. Gloria escaped his rage by hiding under the bed. I saw Gloria once after that and then she went to live with a relative in some distant place. Then there was Zack, who sat beside my desk one day. He was a “hippie” at 15. He drew a flower on the floor with chalk and said to me, “It is not the place where you live that makes you happy; it’s where you live in your head that makes you happy.” Zack walked onto the interstate one night in a happy state of mind and was hit and killed by a truck. Billy came from a family of PhD’s. Expectations for his success were high. He had blazing red hair, a frail frame, artistic nature, and was gay. He could not bear to reveal this to his socially prominent parents. He confided some of his misery to me. He became an addict. Kathy was the only child of doting parents. She was a talented artist who loved my English class and its emphasis on the art in each child as we studied literature and composition. She came to me one day in tears describing her parent’s shame with her desire to be an artist. She ran away. I too learned more than I taught. Despite the immense importance of parenting we do not require courses, instruction, direction, or mentoring before a man and a woman make this amazing decision to have a child. However, we do require instruction, licensing and permitting for driving a car, flying an airplane, operating heavy equipment, opening a business, or practicing a profession. But in parenting, the single most important responsibility we ever undertake as adults, we offer no preparation in what children need, how children develop, and how we best can fulfill our immense opportunities and responsibilities in guiding, guarding, and gracing our children’s lives. Faith traditions, schools, or workplaces do not and should not assume this vital work. This is the sole responsibility of parents in the early years. They are the ones who build self-esteem, confidence, sensitivity, compassion, and intellectual curiosity in their offspring. Parents are the ones who instill manners, respect, vision, ambition, and a desire to learn and to know. Yet in every jurisdiction on earth anyone can become a parent. We can raise our children, shape their minds, or devastate their souls in almost any manner we choose. Step into your malls on any weekend to observe our nation’s parenting results. Children long to learn from their parents; they are their first example, their first love, their first hero’s. However, as we parent badly or ignorantly, the void in a child’s life slowly fills with powerful competitors, the fascinating and alluring electronic media and their peers, who are a major influence in their lives. Because they have no strength of family to sustain them, they succumb to these immensely empowered alternative forces: schools, friends, play environments, and most importantly the contemporary pop culture that form our children’s emotional civilization. Parents, who have many excuses for their haphazard parenting skills, surrender their responsibilities for their children’s soul life to televisions, computers, or iPhones. These artificial caregivers become our children’s primary companions. In our own hurried, frantic lives we let go of the careful and necessary supervision of our schools. We let lapse the passion for our children and our basic and necessary expressions of love and care. Children will not accept this void. They need to be loved, guided, and parented. If we can’t be there for them they will do three things to compensate for their unfulfilled yearning: they will decide we do not love them; they will conclude they do not deserve to be loved; they will look for, discover, and become profoundly influenced by other persons or presences that will parent them in our place. In the end, we send these hapless children off to our schools, where classrooms are chaotic, disruptive, and filled with children whose parents had little time for them in the early years. Teachers often teach in classrooms that are obsolete and filled with children who have no identity or purpose. We expect teachers to be surrogates when we should be expecting them to bring the intellectual curiosity of our children to life. Teachers should be setting children on fire with knowledge and exploration of their God-given abilities. This should be the most exciting adventure of each child’s life; learning and exploration. So who is to blame for the failure of our schools? For the failure of our children? Is it the chicken or the egg? The gene pool for our present “modern” educational system originated in the 18th century with the onset of the industrial revolution. The effort began with the big bosses wanting to have a literate factory worker who could follow directions, do what they were told to do, and manage assembly line components. The creation of the public education system began with the same idea as assembly line worker skills: group children by age, place them in manageable class sizes, give each student a book of information on the subject they were to study, put the authoritarian, “educator”, in front of the room, provide a chalkboard and eraser, and have each student sit obediently quiet while taking notes and memorizing what they were taught so they could pass a standardized test on the subject. Today’s (2011) public education system puts children in separate classes for each subject where they cannot see how connections of knowledge happen; it educates them in batches according to their age, like an assembly line, and when they are ready to graduate we date stamp them with their year of completion, “Class of 2011”. “Real” education does not commence in the production line mentality. It begins with the creativity and innovation our children experience all the moments they are not in our assembly line schools. It seems these days they learn more outside the classroom on their own than they do in class. I am sure you all know a high school student or younger, for that matter, who knows more about how to manipulate the internet and their computer than most educators do! That was the 18th century. This is 2011 and not much has changed as far as the public education gene pool. Consider this, in the 18th century we did not have television, internet, desk tops, laptops, iPods, iPhones, gaming, cell phones, Facebook, Twitter, real time knowledge, space travel, and a multitude of other momentous inventions and events. BUT, the public education system, teachers and unions, continue to resist movement that would change this 18th century model that deadens our children with BOREDOM. Go sit in a class your children are attending. See what you think? Are you bored by the presentation? How do these kids stay awake? This 21st century is about innovation, creativity, strategic intelligence, communication, technology, and personal exploration and group interaction. It is NOT about learning how to put this gidget with that gadget. This is the most exciting and challenging time in our history. It is about collaboration, learning in groups, sharing knowledge, creating many solutions to one problem. It is about engaging and exciting our youth; it is about challenging them to find the best that is within them; it is about setting them on fire with enthusiasm and knowledge that is directly related to their world, which is filled with amazing visual, audio, and informational experiences every minute of every hour! Children come to school with heightened sensory perceptions. They can’t sit still because the world outside their classroom is technologically bombarded and in constant motion. Yet, the educational gene pool insists they sit quietly, take notes, listen, and pass standardized tests, all of which attempts to homogenize our society. They must all be the same. Have you ever wondered what the explosion in ADHD drugs is all about? Is it about a real phenomenon or is it about misunderstanding a generation of children whose senses, intellect, and behavior are heightened to levels that parents and teachers have never experienced because they come from a generation that listened all in a row, took notes, memorized, and passed standardized tests. My son, whose early education was in our home school, sent me a video to watch called, Changing Education Paradigms. It was a joy to see Ken Robinson’s thoughts as they positively reaffirmed what I have followed all the years with my own children. It is worth the 10 minutes you will take to see it. It is enlightening and entertaining. Ken talks about divergent thinking. They tested 1500 children when they were in kindergarten by asking how many uses they could find for a paper clip. They then repeated the divergent thinking test when these same children were 8 to 10 and 13 to 15. When they were in kindergarten 98% of them were divergent thinkers. As they were processed through the educational gene pool they drastically lost this ability to a point where the researchers discovered this ability to think divergently in these children mostly deteriorated. How hilarious is it when we tell our students there is one answer to the question; it is in the back of the book; don’t look, don’t copy because that’s cheating! We should be waking our children up to what is inside themselves, to all the possibilities that exist in their world. They are already exploring all of this outside the classroom; it’s called COLLABORATION! Anthropologists say it takes millions of years of evolution for stimulus to change or cleanse the gene pool. If parents, teachers, and the gene pool system don’t wake up to the real world of our children, they will have created Zombies. They will be unable to compete in their world, whose technology is doubling at immeasurable rates. Let’s talk about America’s mythological “Competitive Edge”. Back in 2005 the National Academy of Sciences, National Academy of Engineering, and Institute of Medicine wrote the influential 2005 report “Rising Above the Gathering Storm: Energizing and Employing America for a Brighter Economic Future”. A new report was requested by the presidents of these distinguished academies in 2010, “Rising Above the Gathering Storm, Revisited: Approaching Category 5”. The authors of the 2010 report concluded that the nation’s competitive outlook has worsened since the original Gathering Storm issued its call to strengthen K-12 education and double the federal basic-research budget. • In 2009, 51 percent of U.S. patents were awarded to non-U.S. companies. • China has replaced the U.S. as the world’s number one high-technology exporter and is now second in the world in publication of biomedical research articles. • Between 1996 and 1999, 157 new drugs were approved in the United States. In a corresponding period 10 years later, the number dropped to 74. The only way America will meet future challenges is to change the way we parent and educate our people. Charter Schools, which are publicly funded, are yet another popular way to change traditional education, which was originally designed to produce literate factory workers for the industrial age of Ford, Rockefeller, and the like. Up until this industrial push most immigrants in our country verged on being or were illiterate. The chalk board, 30 wooden desks, teacher lecturing, and students taking notes for tests hasn’t changed much since that mandate for public education for all children. The Charter innovation is described in the documentary “Waiting for Superman” and focuses on the lottery that determines its students. The lottery is conducted in public, and the film illustrates the high drama of the proceedings: The families of the winners are euphoric, the losers despondent. It depicts how desperate parents are to find any alternative to the inner-city schools millions of minority children attend. Far too many of these students and preschoolers are dealing with hunger, homelessness, abuse and/or neglect. More than 70 percent of black children are born out of wedlock. Typically, an impoverished, overwhelmed mother or grandmother is the only adult at home. Students leave dysfunctional homes to attend dysfunctional schools. They’re learning, but the lessons are concentrated on how to survive. Considering the above, are charter schools the answer? Or does meaningful improvement in education lie elsewhere? Early childhood is where it is at; this is the decisive moment! Schools inherit reading problems, which are actually language problems. Learning begins at birth, ideally with two parents providing loving care, cultivating curiosity and offering constant exposure to spoken and written language. These well loved children have been attending “school” since birth. Schools should extend their expertise to parents of preschoolers and to future parents. They should elaborate on the universal message: Parents are a child’s first and most important teachers, and learning happens outside the classroom as well as in it. Incoming students who are better-prepared should result in better-performing schools. We need to develop parenting programs for those who are not yet parents as well as for those who are and we need to take these programs into the communities and schools. We need to begin at the beginning. We’ve been looking in all the wrong places for far too long. We can’t solve a problem by avoiding the cause; it’s rooted in the home. Parents are the key. We need to convince them of their importance and provide ways for them to be effective teachers. Watch what happens to education in America when we get Parents involved with parenting their sons and daughters for a future that leaves behind their dysfunctional history!